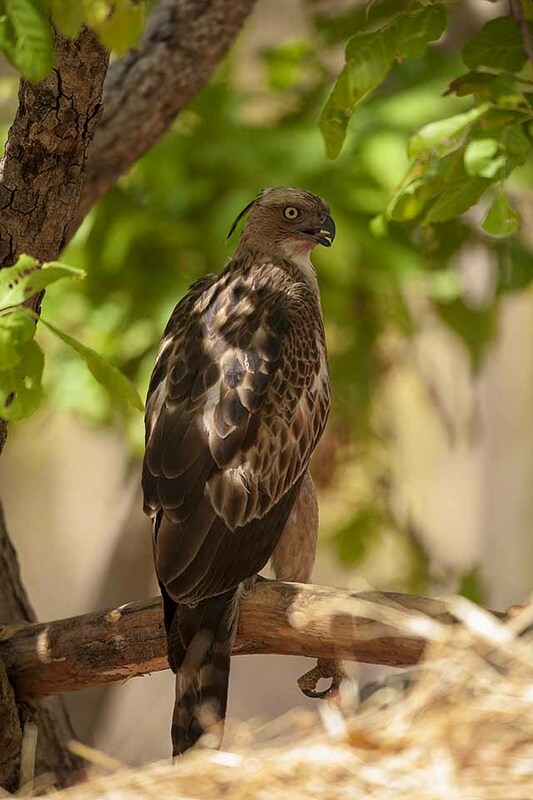 Keeping in mind that it had been a few years since we visited Pench National Park, we planned a trip there for a couple of days on-route to Tadoba National Park. 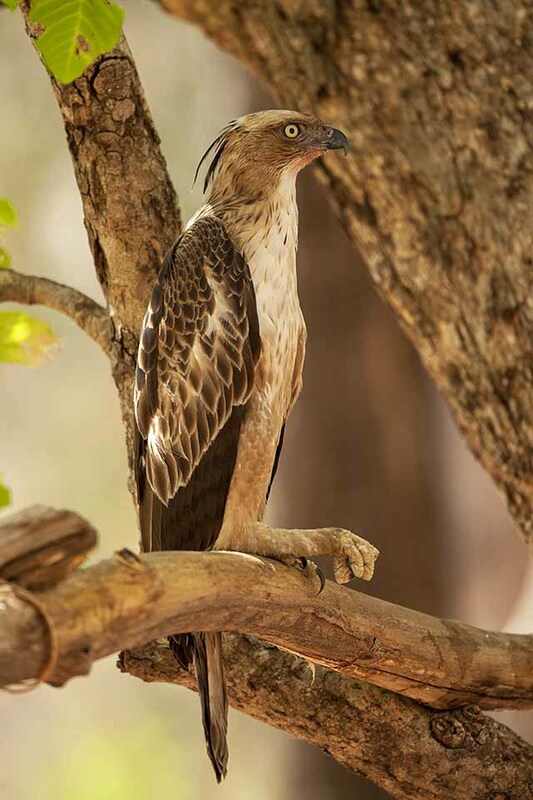 It was peak summer in Central India; the temperatures were soaring and hovering in the mid 40s (centigrade) when we started our first afternoon safari. Practically every animal or bird was either in the shade and/or near a waterhole. 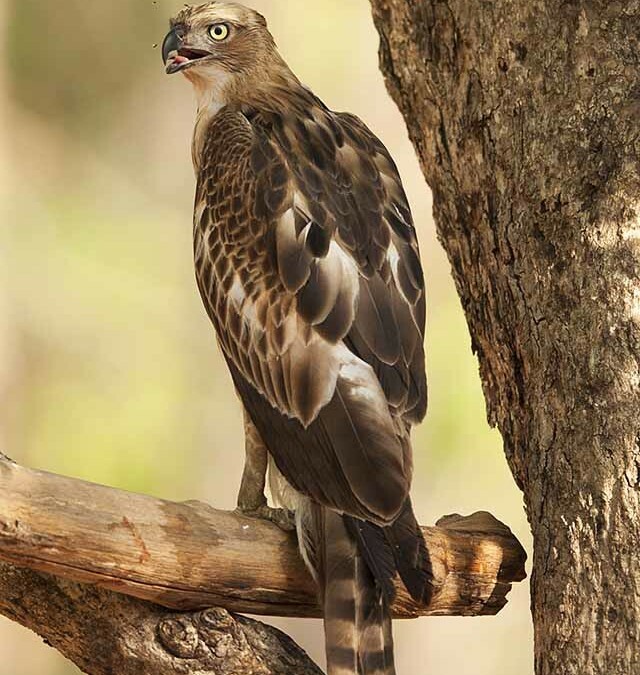 And that is exactly why we could get this close to the Crested Hawk Eagle (above) as it rested in the afternoon heat. 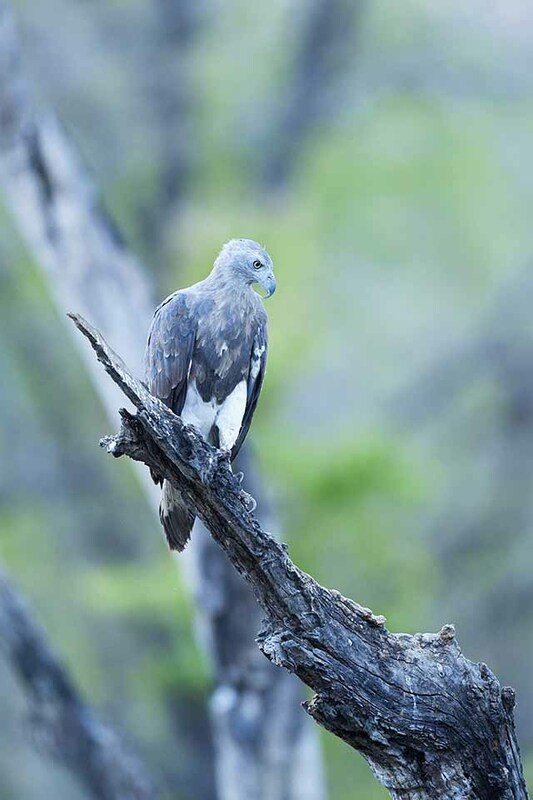 The temperature was still very high when we spotted the Grey-headed Fish Eagle. We got a little closer and got a full frame picture of this endangered raptor species. That was all what we managed on that afternoon safari. 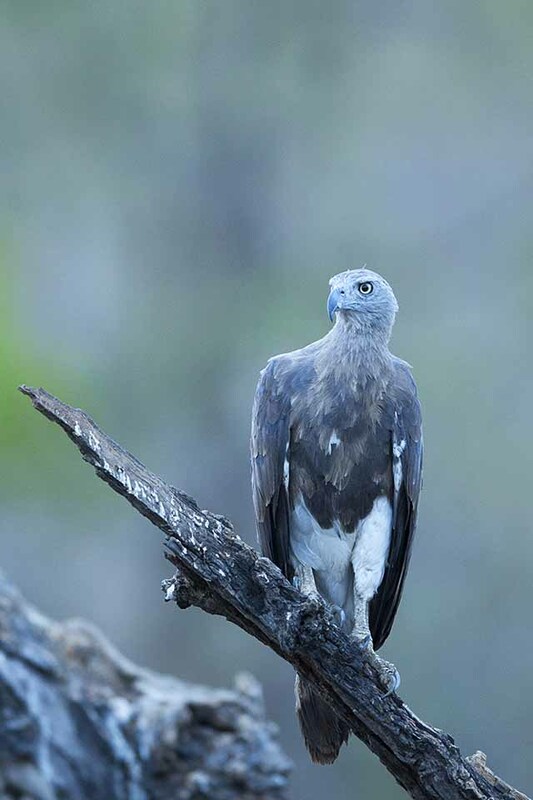 The next day’s morning safari was no different and we once again spotted the Crested Hawk Eagle sitting on the same tree. This time around it was even closer. The Nikon 600mm f/4 lens took us even closer, and I ended up taking a couple of more pictures. The summer heat was unbearable and it affects not just human beings but also the animals. 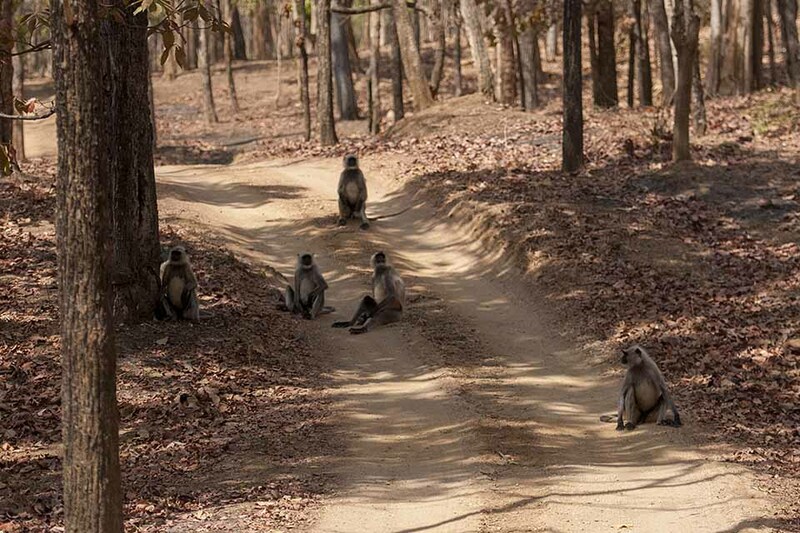 And that was to be seen as these Langurs had temporarily abandoned the canopy to seek shade on the ground. We were two safaris down and this is all we photographed, given the extremely hot weather conditions.